Here it is! Our main logo. 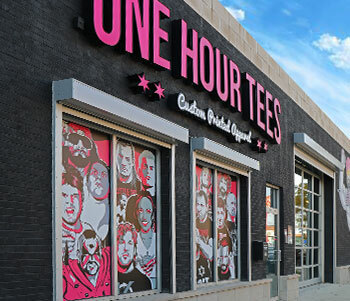 Finally on a T-Shirt thanks to ProWrestlingTees.com Support the show and pick one up today! Do you like The Shoot? Do you like Baseball? If you answered yes to one or both you'll want to check this out! We've combined the two elements here for quite a cool shirt! Chris McManamy was recently voted in as the new Shoot Co-Host by YOU the listeners! 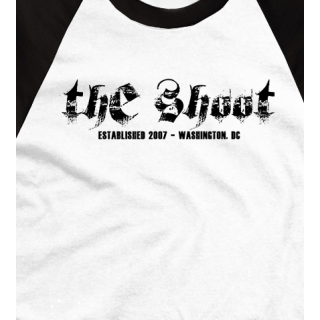 Now's your chance to show your support for the newest member of The Shoot team. Buy this shirt and display your vote proudly. 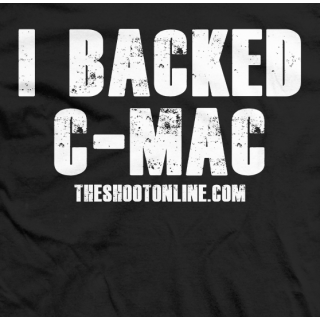 Back C-Mac! Ever listen to a random podcast online and hate the audio quality? So do we! 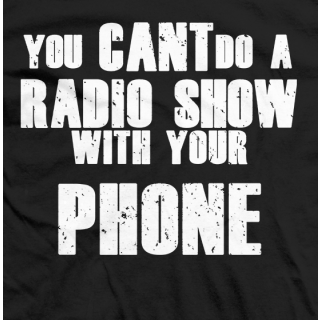 Some think it's perfectly ok to use their phone as a mic and the listeners are the ones who suffer. We here at The Shoot believe in good audio quality. If you feel the same you'll probably want to rock this shirt. Join the movement!